This beautiful guy is doing a great job with the ewes this fall...I hope some of his offspring are as handsome as he is! We had a blast pumpkin carving at HOWL last night, just past the full moon. Our pumpkin carving event morphed into a dance party! 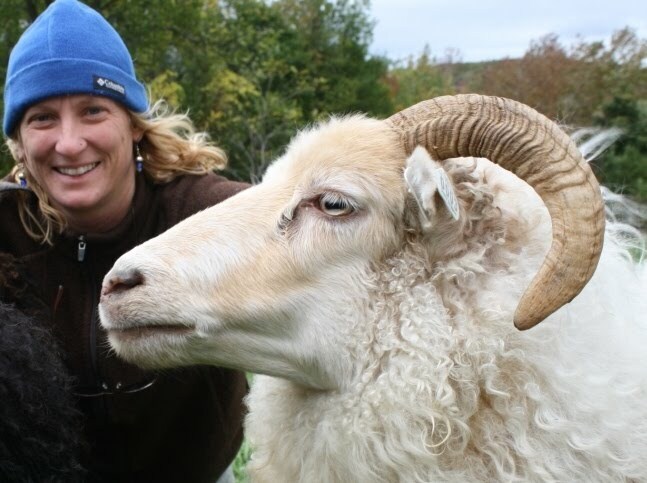 Shearing Icelandic sheep is both challenging and rewarding. 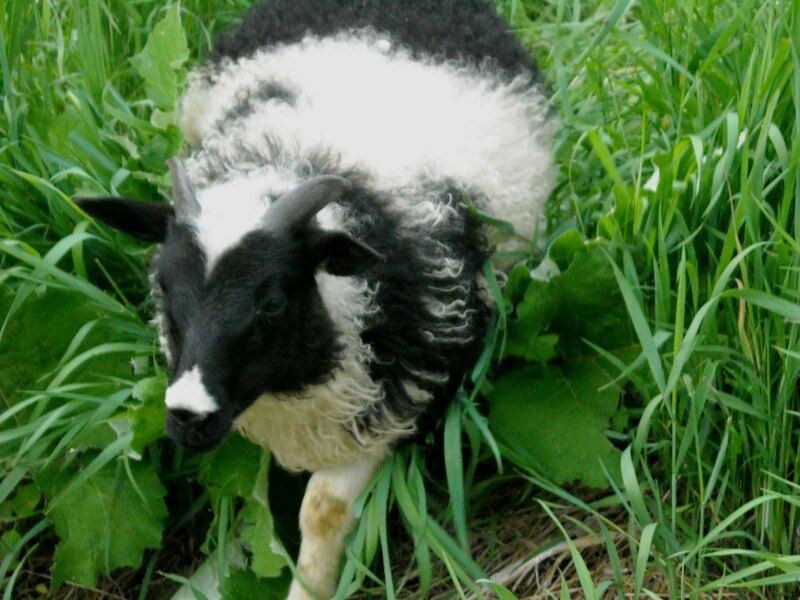 The Icelandic breed is typically shorn twice per year, in the spring and in the fall. We handled the spring shearing our self this year, but decided to bring in the professional this fall. Jim McRae made short work of our 11 ewes and ram. Vanessa got a lesson out of it. 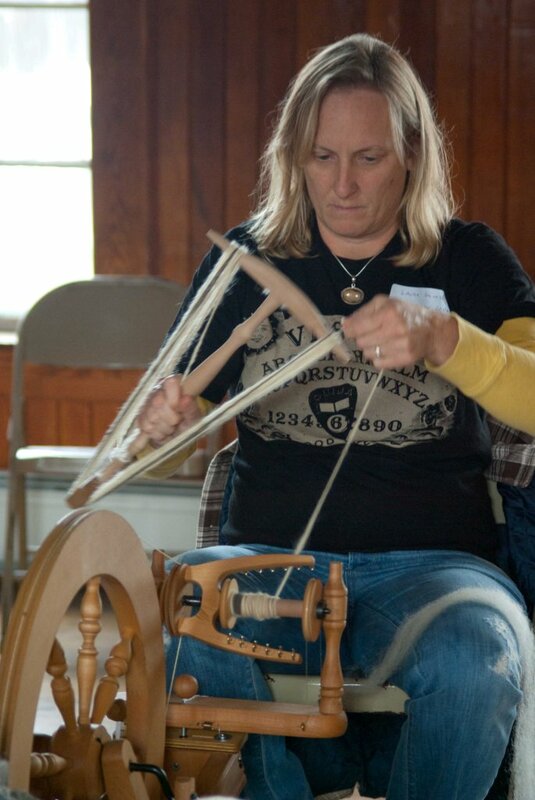 People in the sheep world are very giving of their knowledge and expertise. It sure is appreciated. Vanessa, with the help of Laura and Anya, sheared the 7 ewe lambs. This time of year in Vermont, the weather is unpredictable, but the animals must be shorn or their spring fleece with be very matted and dirty. Their fleece will grow out about an inch within a couple of weeks and they will be sporting almost full fleeces by Christmas. 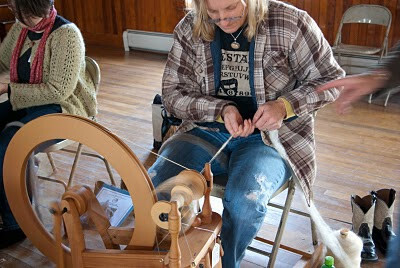 I took my first spinning class at the 2010 Vermont Sheep & Wool Festival in Tunbridge, VT. 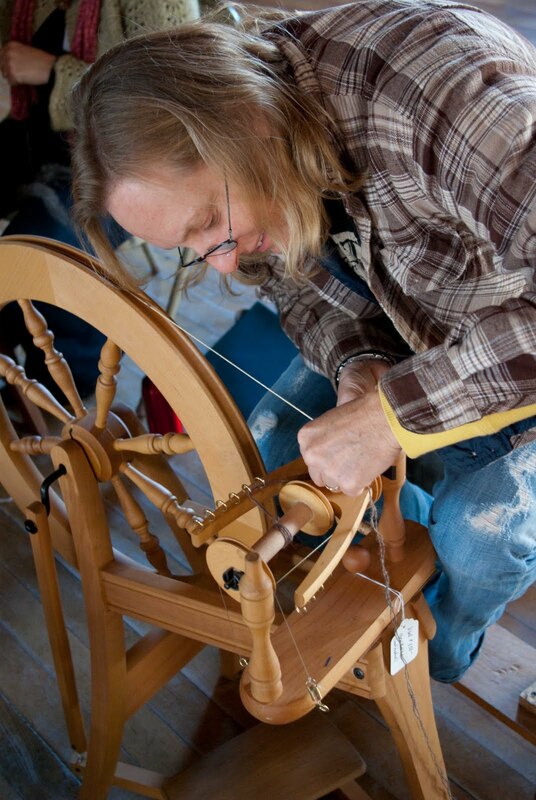 It was way harder than it looks, but I did manage to spin up some fleece and put it onto my niddy noddy. I am hoping to get a double treadle spinning wheel soon and practice my fledgling skill. 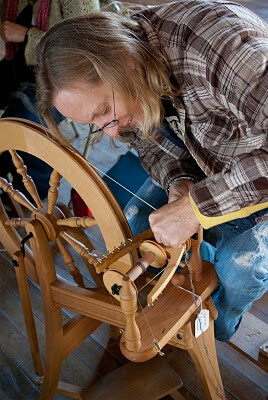 Gettin' niddy noddy with it! Stark Hollow Farm's 2.5 year old resident Icelandic ram heads off to the Kenai Peninsula in Alaska to become the new breeding ram for a small farm up there. We will miss him, but we are so happy that he is going. He flies out this morning on Delta Air Freight. 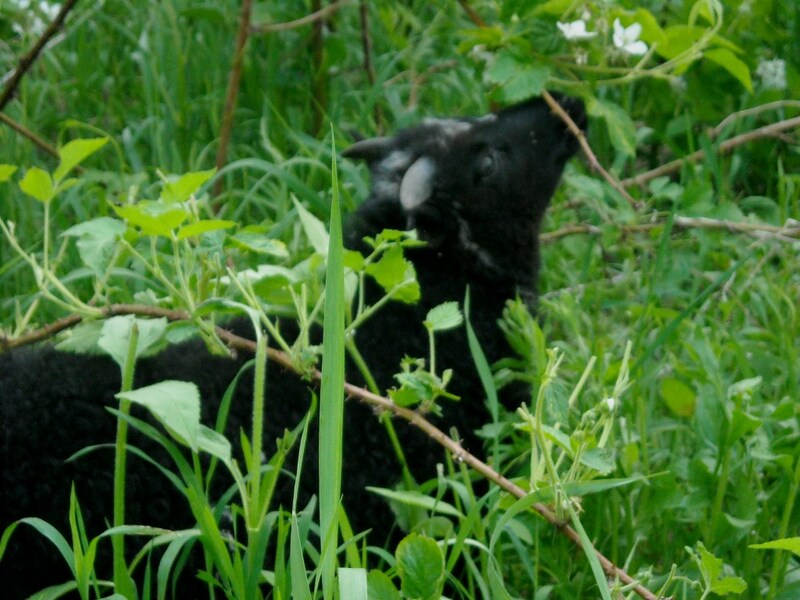 Thank you Orn for all the beautiful lambs! Nick, my nephew, visits the farm this week. Our surprise addition to the farm is named Birch. He was born last week to one of our yearlings who apparently got together with the ram. He is a handsome spotted lamb, who as a single, gets lots of mother's milk. He has plumped up considerably in the last week. Our gardens at HOWL - A Vermont Women's Land Trust, pictured below about 2 weeks ago, are in full swing. I have canned 8 pints of green beans. Numerous meals have been accompanied by this wonderful legume, which is so rich in vitamin C, iron, potassium & fiber. The piggies have had their fair share as well. Summer squashes abound and a few tomatoes are finally ripening. Swiss chard, beets, turnips and of course lots and lots of basil. About 10 servings of pesto are now in the freeze. Soon the tomatillos will be turned into salsa verde and more pesto will be made. Potatoes survived an early tussle with the Colorado potato beetle. With some vigilant hand picking of those pesky larva, I managed to eliminate them. The early blight and I are having a time of it...so far I am winning. I heard the late blight was here in Vermont, but I am hopeful that I won't get it. The piggies have been given the remains of the spinach, arugula and broccoli, and I chop up the really large zucchinis for a nice side dish at dinner time. Wiggers move to new paddock! There is nothing more entertaining to see than a piggy on pasture. They run, they play. When we move them to a new pasture, they explore the boundaries of the paddock, immediately rooting around for the new, tasty tidbits. They'll leave your wild berries alone, but all else is fair game. This is one of the Tamworth pigs coming through the thickest part of the new paddock. Slowly clearing and improving pasture is a lot of work. 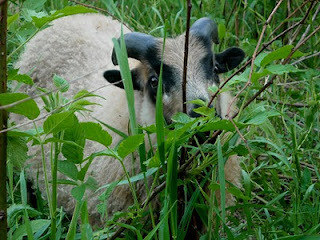 With our new mower, we can mow down all the weeds that the sheep don't eat...but only after we cut out all the saplings. Look at this pile!! 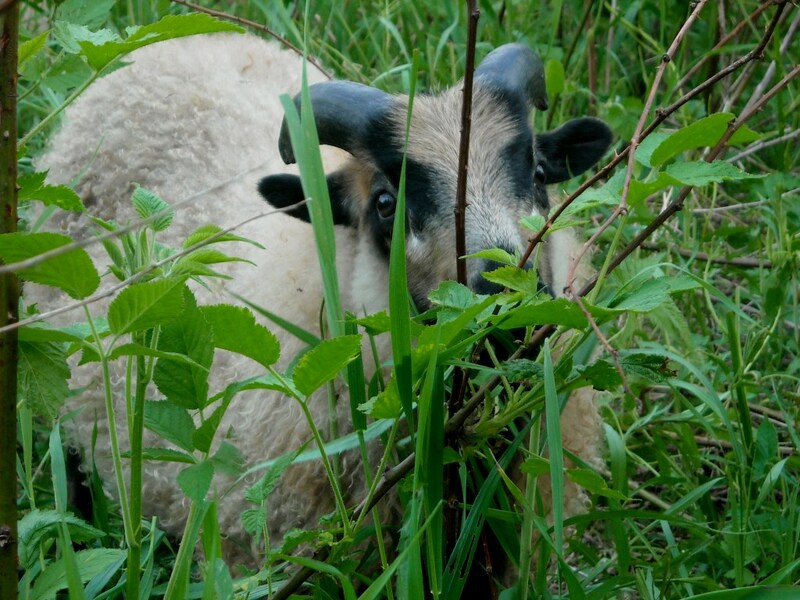 Icelandic sheep eat most all weeds...even some that are toxic! Icelandic sheep are perfect for Vermont climates and conditions and are really helping to bring these fields back. Not the most popular job on the farm, but the lambs were becoming increasingly difficult to tell apart...well, the white ones anyway. They all are ear tagged and hoof trimmed in early summer. 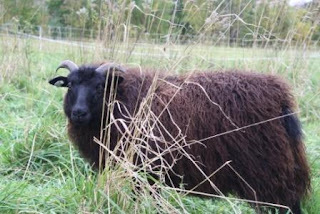 The Icelandic sheep, Tamworth pigs and layer hens of Stark Hollow Farm have moved to their summer home at HOWL - Vermont Women's Land Trust in Huntington, Vt. The grass was already hip high by the time the animals landed over the Memorial day weekend. The critters are so happy to be there. There are 24 sheep, 4 pigs and 9 chickens right now with a few more layers on the way. 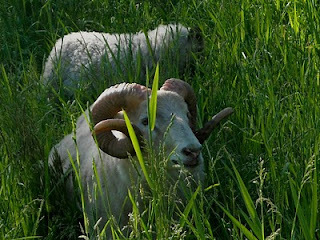 We are working with HOWL on stewardship of the land to help bring back the fallow pastures. This year we hope to have the sheep graze out the labyrinth so that it may once again be enjoyed by HOWL caretakers and visitors alike. Ain't she just a farmer now! 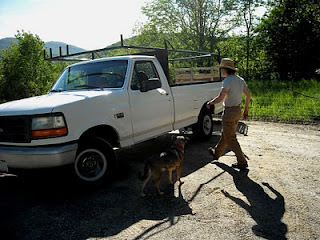 Our new (well, really used) Ford F150 was a real asset as we moved all the animals from Starksboro onto summer pasture at HOWL. Oakley loves the bench seat. It's got a hitch for the trailer and everything...every farm has gotta have a truck! This friendly little guy lives near the chicken coop...he has struck up a mutually cautious relationship with the chickens. 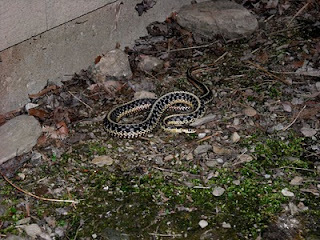 The garter snakes are not poisonous and are very common in Vermont, but I did witness the snake go into full strike mode and actually strike out at the chickens the first time they saw him. Chickens, being naturally curious and sure that anything small that moves must be food, walked cautiously over to check him out. He coiled up as you see here and held that position until all chickens were done and made a few warning strikes. The chickens for their part, not being the brightest animals in the kingdom, knew enough to leave him alone! 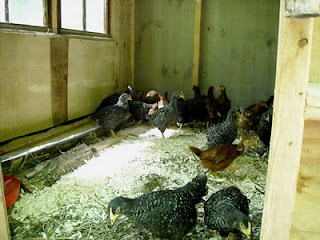 The chicks are now fully feathered and moved to the main coop to finish growing out to pullets. Plymouth Barred Rocks and Rhode Island Reds with a Black Star thrown in for good luck! 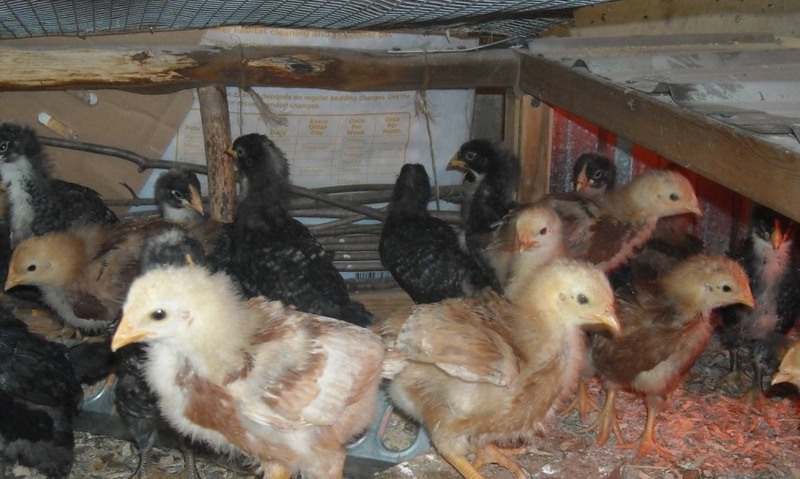 Cooler Vermont weather requires them to be well heated until their feathers come in, but now, a 5 weeks of age, they are almost ready to withstand the cool nights we still have this spring. Of course, capturing 46 flappering chirpering birds was no small task. But, a few lost feathers and about 45 minutes of my time and the birds were all settling in to their new home! 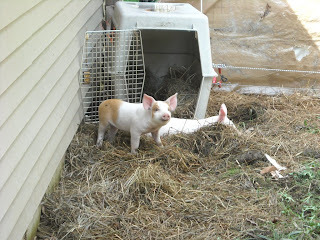 This year we have decided to raise 4 piglets. Our pork from last year was so tasty that we have several people who would like to purchase pork this fall. We've decided to try a heritage breed of pigs called Tamworth, which is one of the oldest, and therefore, most primitive breeds hailing from across the pond in England. 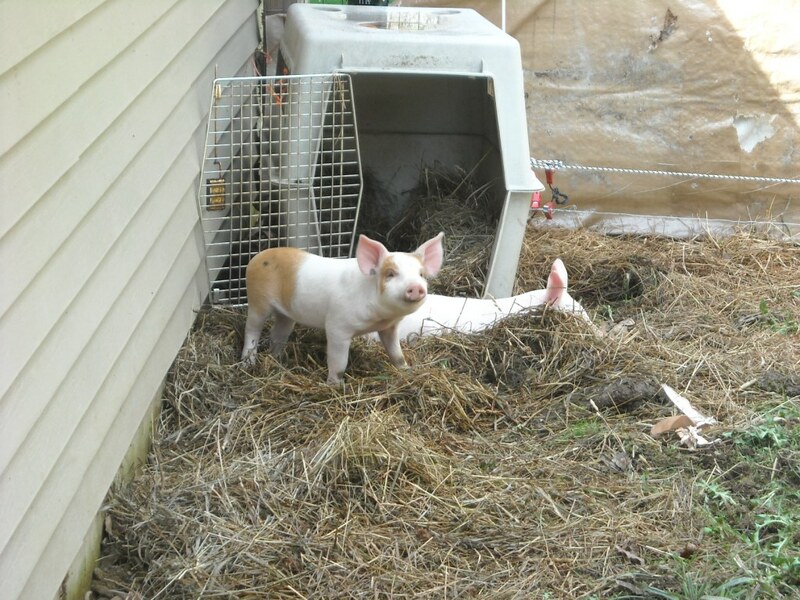 We'll also be raising two mixed breed pigs, which are more domesticated and tend to grow faster. All four pigs will be raised on pasture and woodland areas where they enhance their diet significantly with plant matter, bugs, grubs, worms and what ever else they root up from the top layers of the soil which palatable to these omnivores. Rhode Island Reds and Plymouth Barred Rock chicks have arrived and are thriving in the chick brooder which was custom crafted by Vanessa. They are now 2.5 weeks old and are feathering out nicely. We have had a 100% survival rate and are pleased to see them doing so well. Four were sold at a couple of days and the remaining 46 chicks will consume a gallon of water per day and a couple of pounds of crumbles. 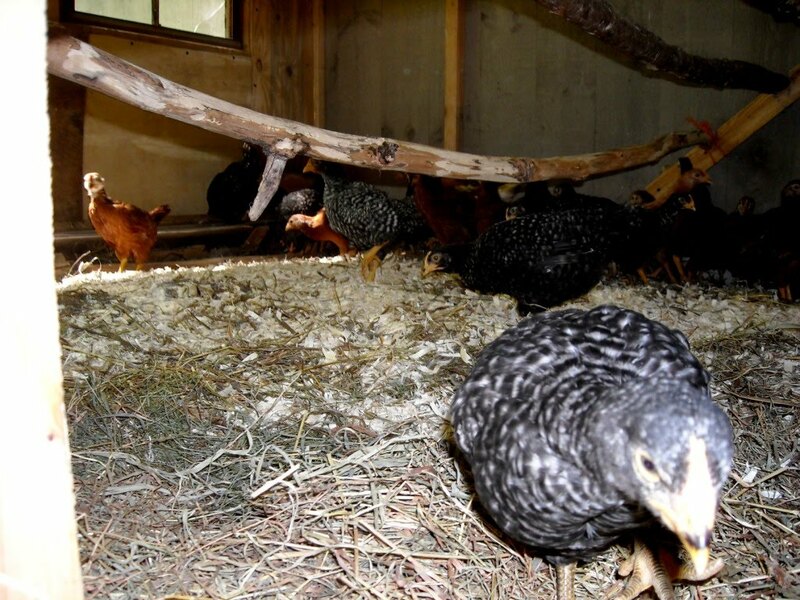 The grow quickly and soon will be moved into the main coop as the adult flock is moved onto pasture. The weather in Vermont never ceases to amaze me. 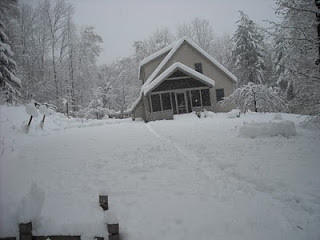 It was a crazy day on the farm with 20" of heavy spring snow. 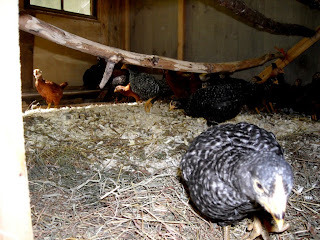 Power went out during the wee smalls of the night and the chicks had to be heated with hot water bottles and eventually needed to be moved inside next to the wood stove. With fence lines down everywhere, the chain saw came out and offending tree limbs were removed. As we worked, the snow kept coming down. The silence was broken every 10 minutes or so by the sound of a cracking and falling limb or tree. It was scary for a while with trees coming down around us. The little piglets got out and had to be chased down, which, thankfully, wasn't too hard with the deep snow. In between clearing the electric netting and fence lines, we stopped to admire mother nature's work...and feed a bottle to little Bibo our last little lamb of the season, a triplet out of Mara who needs a little extra help. Once the snow stopped in the late afternoon, the sheep came out to scavenge the many fallen buds and leaves that were lost by the trees in the storm. 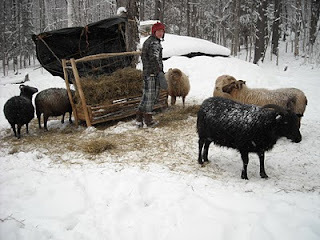 They washed them down with fresh snow and tramped back to their hay lined shelters to ruminate on things. The first of the 2010 lambs were born yesterday afternoon to our beautiful Polly. A tall, white ram lamb and a tall, long bodied black spotted ewe lamb. Vanessa was in attendance to supervise and assist in delivery. Polly did a great job and is a wonderful, milky mother. 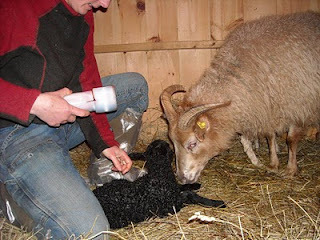 She speaks in a guttural rasp to them and the sound of her calling, stimulates the newborn lambs to struggle to their tiny feet in search of their first bellyful of milk: the all important colostrum with it's critical nutrients, vi tamins and antibodies to help them survive in the world. Momma Polly cleans them up. Vanessa cleans their naval and we weigh them. Large lambs. With their hunger satiated, the begin to explore their surroundings. An occasional astonishing hop into the air belays the fact that these little ones are barely an hour old. As we’re getting ready for lambing here at Stark Hollow Farm, the sheep flock has been divided into 2 groups. The pregnant ewes have been placed near the barn where all pens and equipment is ready for the upcoming lambs. 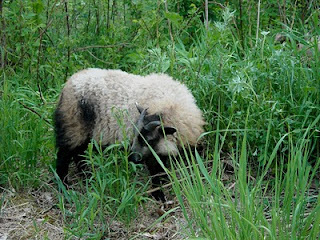 The ram and two yearlings (i.e. 1 year old ewe lambs) have been left at the top of the pasture with access to the round house where the flock has spent the winter. Already late last summer, the 2 Icelandic lambs, now yearlings, started proving to have quite a personality! After fixing and re-fixing tear after tear in the shade tents, I caught the two of them running, leaping into the air, and landing right on top of the tents eventually touching ground as the tear they caused during the jump reached the edge of the tent resulting in the whole thing to collapse. It seemed they found joy in this. 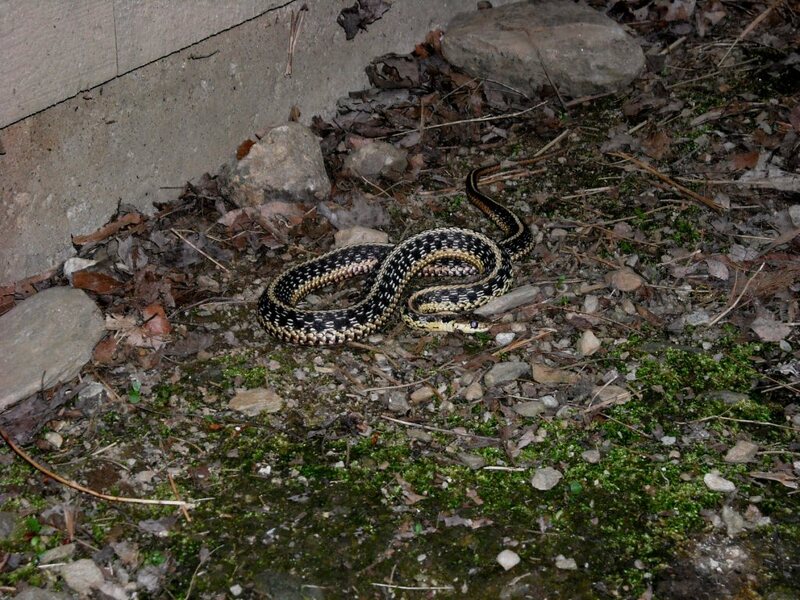 I recall their look when I caught them in action… it was almost a smirk… almost defiance. As I was screaming half in disbelief and half in despair, they looked at me and it was like they were telling me: “whatever”. I thought I felt what teenagers parents feel like when they yell at their children who seem to have lost the ability to listen as they grow taller. As fall progressed and winter weather began, the jumping and tearing ended, the mended shade tents went away, and I forgot all about my growing lambs behaviors. In the winter, we had a couple of surprises here and there -- a spilled water tank, broken hay feeder part, some rocks from the small wall surrounding the round house moved over, etc. -- but nothing serious. In addition, the frequency of these occurrences was low enough to assume they are due to normal management and/or wear & tear of equipment/structures. But now that the yearlings make up the 2/3 majority of the group at the top of the pasture, my feelings toward empathy for parents of teenagers seem to be resurfacing. Suddenly, I find the sheeting that makes up the temporary walls of the round house taken down (i.e. note that the sheeting has been in place for at least the past 5 months through snow, ice, blowing winds, etc. 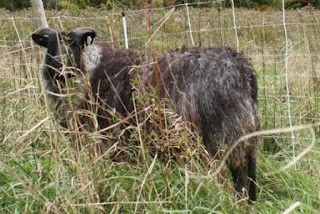 and 10 sheep), I discover poop in the water tank, I walk up to a bucked down feeder with all salt & mineral spilled onto the pasture, and the list goes on daily. Then as I discover these nice little gifts of entertainment -- since I have nothing better to do all day -- and express my astonishment, I have to listen to my yearlings going baa-baa, baa, baa-baa while they look me straight in the eye. As my shock begins to morph into distress that borderlines outrage, but of the peaceful kind, I am interrupted by two even more closely approaching yearlings yelping out baa-baa, baa-baa, baa. At this point, they actually manage to shut me up. As I look at them, while they turn around and walk away stomping their little hooves, that fiery feeling that bordered outrage is gone. Absolute bewilderment sets in as I stand there with my mouth opened and my jaw dropping down slowly. I am not sure whether I should focus on the damage those two have caused for the day or on their demanding yet defiant behavior. But I force myself to step back, remember my morning meditation, take a deep breath, and move on to fix whatever they managed to destroy/buck/etc. I feed them, water them, and clean up their bedding. When everything is finally back in order and my two yearlings and ram have been well taken care of, I look around and pat myself on the back. Walking away with the optimistic view that I have everything under control again, I also don’t pay too much attention to the baa-baa, baa, baa-baa of my two yearlings… but I swear I know that if I did turn around to look back, I would see my dear yearlings smirking and chuckling away as they plan a new prank for tomorrow! A newspaper article you might ask? No, I did not find it on the internet and yes, some still do read a paper newspaper you can hold in your hands. No, it wasn't me who had the paper -- although I actually would like to read a real paper newspaper i have no time to read (i.e. also am not the most prolific reader), do not want to use up paper if I don't have to, and do not want to waste money... so no paper for me, but I really like the idea. In any case, now that I have managed to ramble along about nothing (i.e. thankfully i have no time to waste! ), the newspaper article was given to us by Laura's parents. I admire them for reading the paper and am grateful to them for giving us the article. OK, at this point I really think you need to read the article otherwise you'll think that I'm rambling again, start thinking I am just writing a dissertation between news on paper on online, or most likely just think that I'm nuts! Oops, looks like you're still waiting; with no further due here is the: ARTICLE. Please read it. OK, now that you have read the article -- unless you got too bored by my special ability to write nonsense -- here's a summary of the conclusion of my brief review: it's our story and our current condition as we strive to be farmers, but it's so inspiring to know we're not alone! Just such an amazing injection of energy in these days when industrial factory farming seems to be the only way or the highway. I am going to frame this ARTICLE -- kind of like those motivational posters you find on walls of offices to make you more "productive". But in this case with a VERY different motivation (i.e. as if i actually needed one when i have no troubles being out at 6:30/7 AM feeding animals. 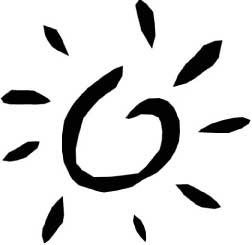 carry 5-gall water buckets in 0 degrees F, shovel manure, and the list goes on). But i do need some inspiration at times, here and there. In those times, when I feel beaten down and exhausted from trying to make my "little" sustainable farm viable and juggle 2 jobs (i.e. 1 of which is the "paying" "daytime" job), I will read the ARTICLE. My final words: I have a smile from cheek to cheek because I am on my way out to feed my sheep! It's official folks! 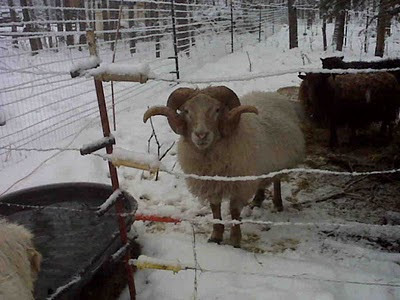 We love raising our Icelandic sheep in Vermont! 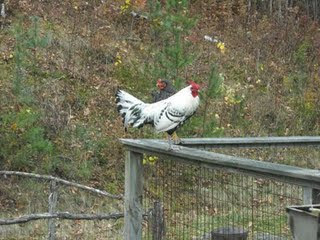 Fancy Pants, our rooster, has found a new home with a family who is breeding and raising chicks. We expect he'll have a good life at his new home. Now, Vanessa can roam the barn yard free from fears of a rooster attack. She spent last night re-vamping the coop...adding the heated poultry waterer she got for christmas, re-wiring and general clean up. The girls seem happy and are still laying lots of eggs. One broody girl has been moved to a brood area to see if we can hatch some of Fancy Pant's chicks. We should know in about 15 more days! 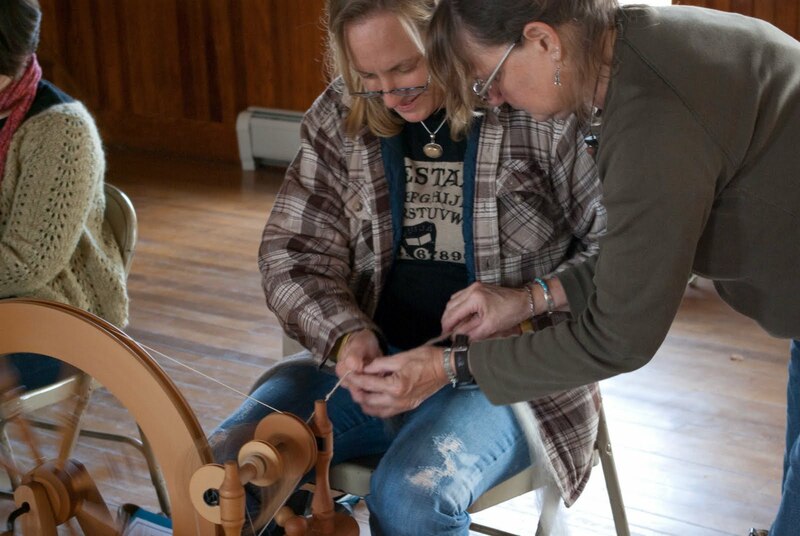 Laura and Vanessa attended the Vermont Grazing & Livestock conference in Fairlee, Vermont. The theme was Farming for Modern Markets and we attended a variety of workshops including Partnering Retailers and Producers to Feed a Hungry Public, Bedded Pack Management for Winter Housing, Managing Small Ruminant Parasites, among others. We enjoyed a presentation by Brian Moyer, Director of Rural Vermont. We networked with numerous other farmers small and large who care about sustainable farming and agriculture. It was a great day. The rythm of farm life. The sheep are loving the round house and all the girls should be bred now and into their 2nd trimester. They were all rounded up yesterday for a good hoof trimming, which meant a taste of grains which of course they just love. 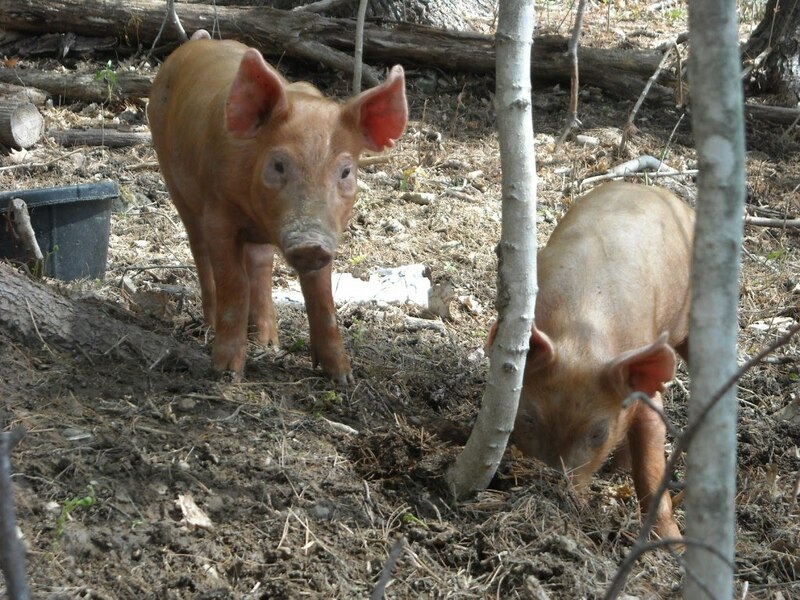 We've put our name on the list for some English Saddleback pigs, a rare heritage breed. Hopefully some gilts for eating. If not, we'll get some Tamworths. All the chickens are laying now and we have a regular surplus of eggs which find a home in the frying pans of several friends. Researching meat recipes for ham and salamis and will begin curing soon. Also researching natural remedies for parasite management and getting ready to cut and split more firewood for next winter. Still trying to find a home for one snappy Silver Spangled Hamburg rooster...it may just have to be the stew pot. The rhythm of farm life.